Photos above left Lynn Tilton (Women Who Care Honoree) on the red carpet during The 12th Annual Women Who Care Luncheon at Cipriani 42nd Street, New York City (5/06/2013). 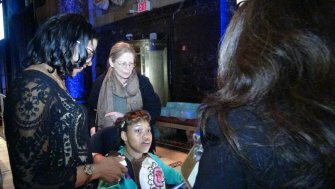 The "see what you missed video" montage of The “Star Studded” Women Who Care Luncheon Benefitting United Cerebral Palsy New York City is here and in record-breaking time. Yay! Please visit often, bookmark this page and share with others. Thanks and enjoy! 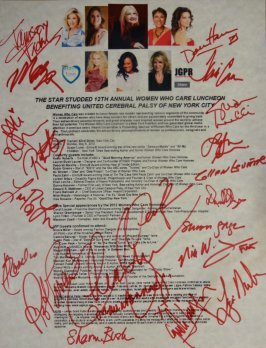 On Monday, May 6, 2013, celebrities, personalities and business leaders gathered for “The Star Studded 12th Annual Women Who Care Luncheon Benefitting United Cerebral Palsy of New York City” hosted by Susan Lucci, - Emmy® Award-winning star of the new series “Devious Maids” and “All My Children”, New York Times Best-selling Author and former Women Who Care Honoree. 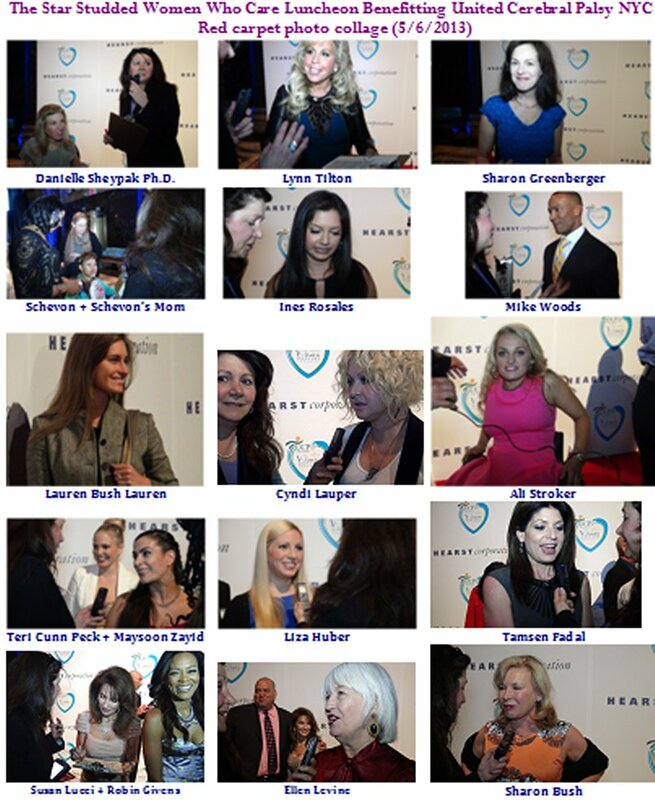 There were over 600 attendees among special guests who read like a “who’s who” in business, media, humanitarianism, philanthropy, entertainment, entrepreneurship, etc. Celebrated honorees were Cyndi Lauper – Five time Grammy® Award-winning Singer, Songwriter, Actress and Humanitarian; Sharon Greenberger – Senior Vice President, Facilities Development & Engineering at New York-Presbyterian Hospital; Lynn Tilton – Founder & CEO of Patriarch Partners; and Maysoon Zayid – Comedian, Actor and Disability Rights Activist. 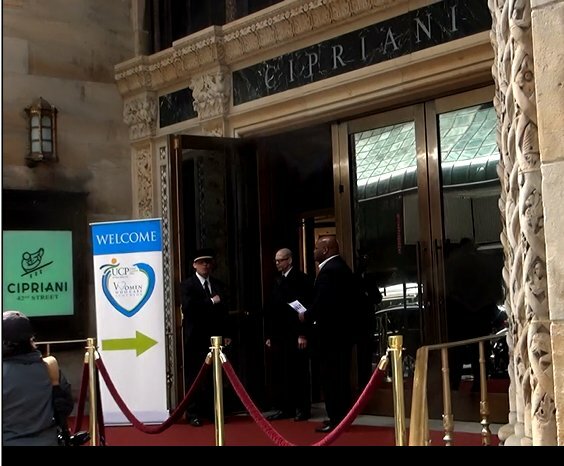 The full house event was held at the spectacular, palatial Cipriani at 42nd Street right in the heart of New York City. For those of you who weren’t able to attend this outstanding event, this article will be updated regularly. Included will be a “see what you missed” video featuring highlights of the event and “One to One” interviews from the red carpet. Enjoy this article Please feel free to share your thoughts in the comments section. Thanks!